Author: Lindsey, Johanna Set In . . . 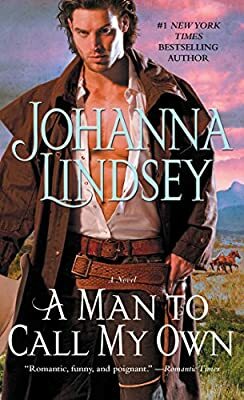 Description: From #1 New York Times bestselling author Johanna Lindsey comes a love story as passionate and tumultuous as the old American West, about an heiress who discovers passion in the arms of a Texas cowboy. Amanda and Marian Laton are identical twins but they are as different as night and day. Amanda is beautiful but nasty, and Marian is kind but plain—purposely so to avoid provoking her spiteful twin's jealousy. When their wealthy father suddenly dies, the two gently reared New England heiresses are sent to live with their aunt on a sprawling Texas ranch. There the twins meet Chad Kinkaid, the cowboy son of a neighboring rancher. Marian is fascinated by Chad's rugged good looks and his sheer masculinity, but she knows that like every other man she and her twin have met, he will pursue Amanda, not her. Chad is indeed beguiled by Amanda's beauty, but soon he begins to see beyond Marian's carefully constructed dowdy façade. Unlike the tame gentlemen back East, after witnessing Marian's taste for adventure, her sense of humor and bravery in the face of danger, Chad finds himself wanting her. But how can he, a man who's just a cowboy without fancy airs or urbane charm, convince her she's the only woman for him?